Everyone wants that tight, toned look, right? This comes from 2 things: low body fat and great muscle development. Today I’m going to talk about the latter. Muscle hypertrophy, also known as muscle building, is a process by which the fibers that comprise your muscle increase in size and volume. 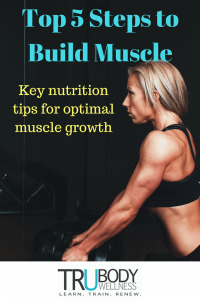 While overloading the muscle plays an important role in this process, the nutrients that you provide to your muscles are actually what promotes continued growth. 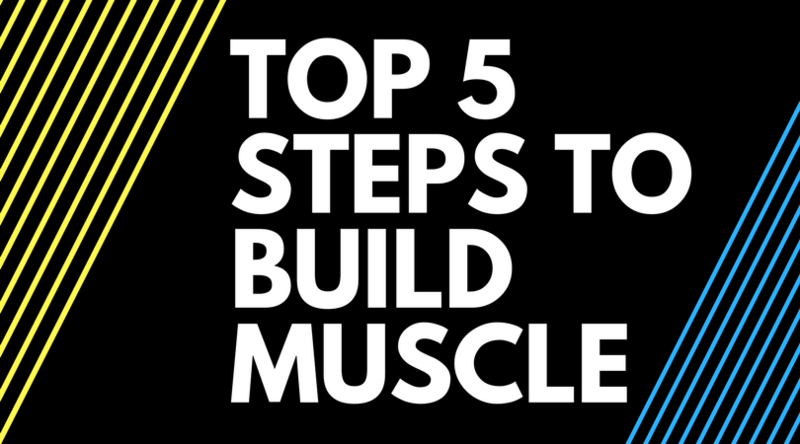 Listed below are 5 key steps to ensure you are making gains in muscle building. You need to make sure you are giving your body more protein that it needs in order to allow your muscles to grow beyond where they are right now. This will allow you to keep your body in a “positive nitrogen balance”. Nitrogen is a necessary element in protein that our body needs for many functions. When our nitrogen level drops too low you enter into a catabolic or muscle wasting(losing) state. When you are in a positive nitrogen balance you are in an anabolic state which promotes muscle building. Everyone’s minimally necessary protein intake differs due to lifestyle and training intensities but a 1g/lb intake (1 g of protein consumed for every lb of bodyweight) is a good starting place. Based on how your body responds over time, you can then increase or decrease the amount of protein consumed to get optimal muscle gain. I personally get my best results when I consume around 1.3g/lb. Your body cannot store protein like it stores carbs and fats so it is essential to consume protein at regular intervals throughout your day. This will ensure your body has the nutrients it needs to repair and rebuild your muscle tissue. When you don’t have adequate protein available in your system, your body will and does take from the readily available, secondary expendable source–your skeletal muscle (AKA: the muscles you are working so hard to build and sculpt). Understand this: your body needs protein to carry out cellular repair and generation, not just for muscles but every major organ in your body! Because of this, whatever your body doesn’t get from your diet as a protein it will literally “steal” from other protein-rich parts of your body to make up the difference. Your muscles are over 70% water so getting and staying properly hydrated makes the world of difference for muscle building. Water affects how well you digest and transport nutrients to the cells of your body. A lack of water affects how well your body can store glycogen in your muscles (glycogen = 1g carb + 2.7ml water). Every 1g of carbs needs 2.7ml of water in order for your body to store it in your muscle tissue as fuel for your next training session. This has a direct correlation to the amount of strength you are able to produce which will impact your ability to properly overload your muscles to stimulate them to grow. If you want to be serious about your muscle building aim to drink at least 1 GALLON of water per day. Signs of dehydration can often be interpreted by your body as hunger and so staying hydrated helps to decrease food cravings. Remove overly processed and packaged food from your diet as much as possible. Processed foods contain a lot of sugars, preservatives, and extra hidden junk that hurt your muscle building process drastically! A simple rule of thumb: If you can’t pronounce what is written on the label DON’T EAT IT!!! Think of your body as a high-end vehicle and your food as your fuel. You wouldn’t put low-grade fuel in a high-end vehicle so make sure to put high-quality natural foods in your body to help it run as good as possible! Make a point to consume 80% of your diet from foods that are in as close to their natural state from the earth. Adequate rest is an essential part of building muscle. Contrary to what most people think, you don’t grow or get stronger while you are actually working out. During your workout you are tearing down your muscles and stressing your body…well that is if you are doing it right. It is while you are resting, especially sleeping at night, when your body makes the “gains” you are training so hard for. While you rest, your body has an opportunity to rebuild, repair, and reset the damage that was done during your training. Aim for at least 6-8 hours of sleep each night and aim to get to bed by 11 pm. Our stress glands (adrenals) rest and recharge the most between 11 pm and 1 am and melatonin production is highest from 10 pm to 2 am. The overall quality of your sleep is largely influenced by what time you go actually go to sleep. I aim and expect to gain 8-15 lbs OF MUSCLE per year depending on how disciplined I am with my nutrition. This may or may not sound like much but if I do that consistently over 3-5 years that’s an additional 24-45lbs of muscle! Yeah, buddy! Don’t get sidetracked looking for supplements, workout programs, or diets that promise “fast” muscle growth. There is nothing fast about this process other than how fast you can eat your food! Muscle building takes time and it boils down to overloading them with training, feeding them with proper nutrition, and resting them so they can grow. Wash, rinse, repeat…that’s it. 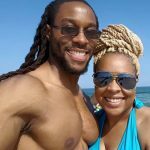 Coach T and Dr. Toni are the husband and wife owners of TruBody Wellness, a wellness studio in Cinnaminson, NJ. How to Do Cardio the Right Way! Coach T and Dr. Toni here! 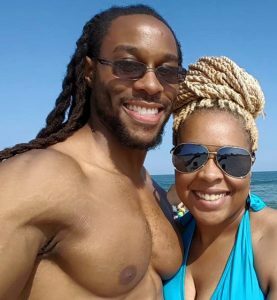 We are a husband and wife team who works very hard to help you reach all of your health and wellness goals.